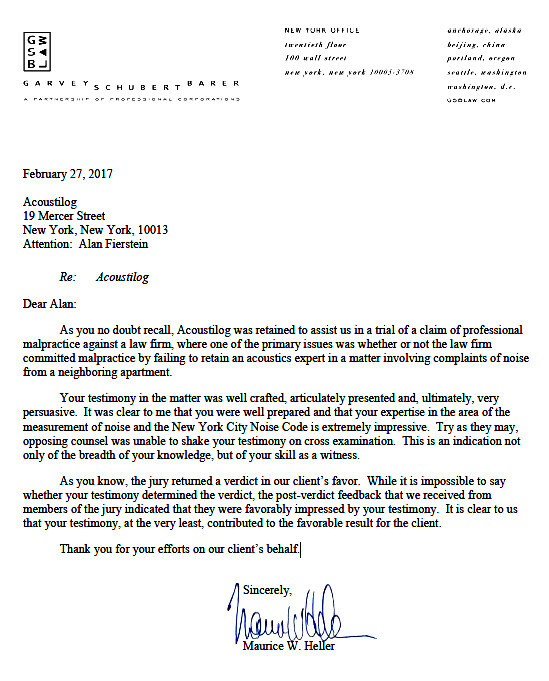 This case was brought because our client had a noise problem and his previous lawyer neglected to use an acoustic consultant. As a result our client had to sue his lawyer for losing his previous case. Alan Fierstein testified as to the proof he unearthed about the noise and the ways in which the previous opponent's expert had failed to measure the noise properly. Fierstein maintained that had he been retained in the previous case, the outcome would have been different. He explained this to the jury, who found in his client's favor.